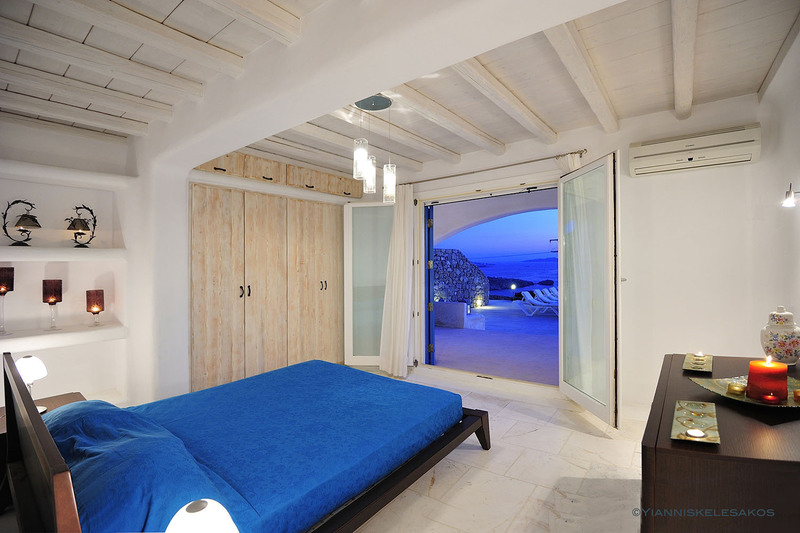 Blue Villas Collection are the next best thing to having your own private vacation home in Greece. The villas are indeed luxurious, but that is not all. Each hand-picked, their selection was made based on authenticity, intimacy, charm and unique location. A stay at an exclusive villa like these will not make you feel “alienated” from the surroundings, but rather blended into the land and local way of life. 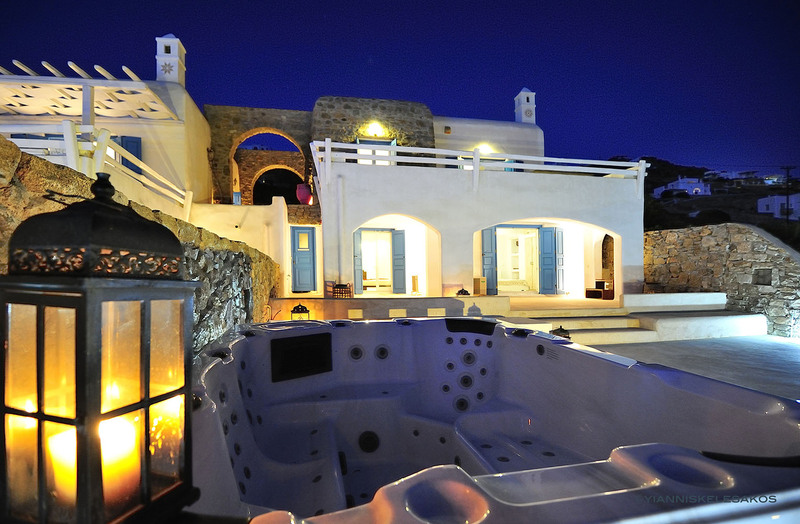 An exclusive vacation should provide comfort and privacy, together with elegance and convenience. At Blue Villas, it’s the little touches that make the difference. Their complimentary concierge services ensure you won’t have to lift a finger and that all your needs and whims are met. Simply say the word and they’ll make it happen. They are always prepared to go the extra mile to ensure that your vacation in Greece is more than you ever dreamed of, with luxury, exclusivity, privacy and bespoke services from start to finish. There simply is no tailor-made service that they cannot offer. And, to help create the best possible holiday experience for you, they have added a range of specialised services they call “Into the Blue Experiences. With local insider knowledge and key contacts, along with services adapted to your every need, their mission is to offer you the most unforgettable experience that will turn into memories to last a lifetime. 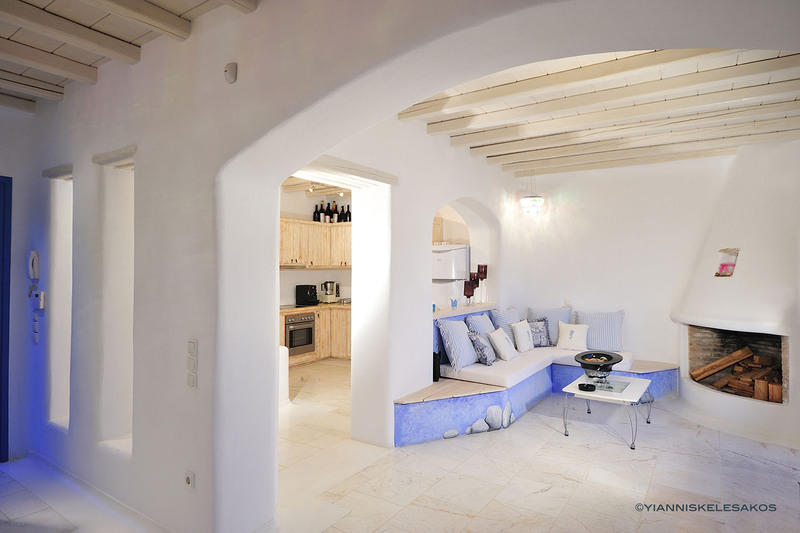 Because Blue Villas truly believes a holiday is as individual as you are, it is your villa, your vacation, your memories. 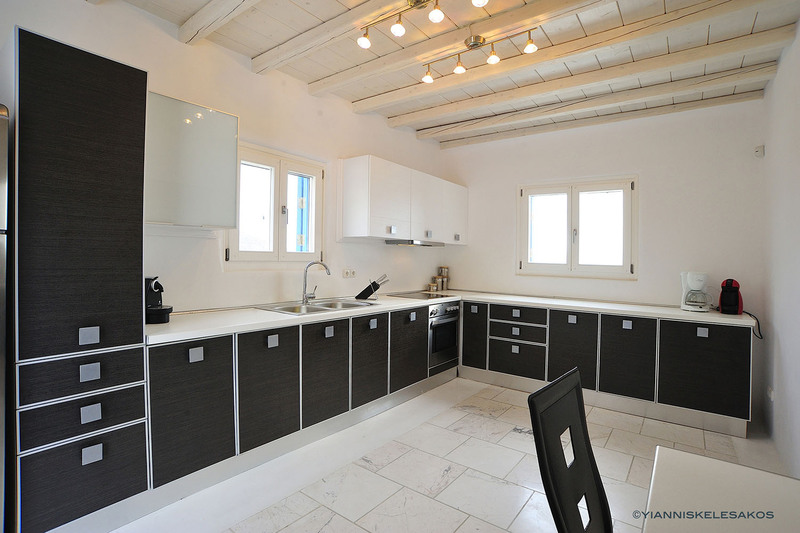 Two particularly nice Blue Villas collection villas are situated above the beautiful bay of Houlakia, Delos Maisonette I and Delos Maironette II are two similar but totally independent adjacent buildings. Maisonette I features a plunge pool and accommodates up to 6 guests, while Maisonette II offers a Jacuzzi and accommodates up to 5 guests. While your stay at the chosen villa is dependent upon availability, at each you will enjoy comfort, privacy and stunning scenery with panoramic views of the Aegean sea, towards Delos and Tinos islands. Both buildings’ architecture makes the most of the abundant light and space, in an artful play with traditional simplistic Cycladic style. Luxury, comfort, fun and relaxation are what you and your guests are here for. 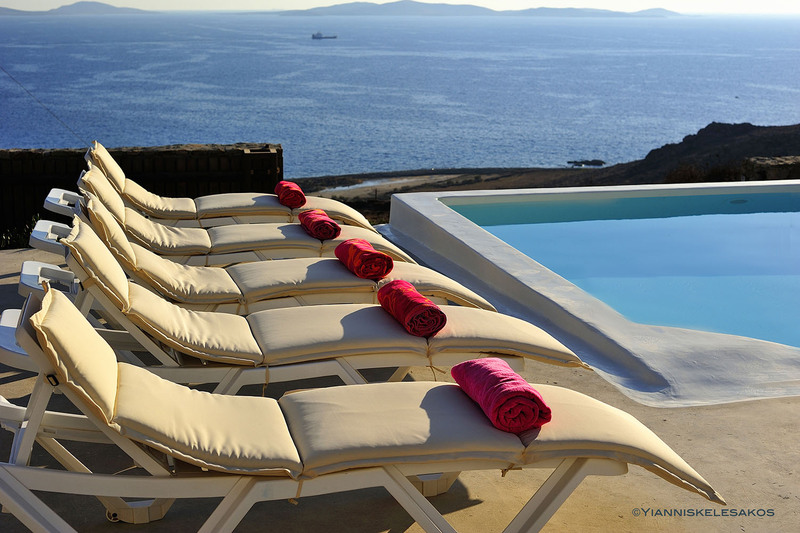 So sit back and enjoy the best Mykonos can offer. Agios Stefanos village is only a two-minute drive away, a quaint little haven with local restaurants scattered along the beach. If you feel like rejoining the crowds, Mykonos town is close by too, full of promise and excitement.